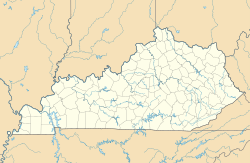 Indian Hills is a home rule-class city along the Ohio River in Jefferson County, Kentucky, United States. The population was 2,868 as of the 2010 census. Indian Hills and the nearby cities of Mockingbird Valley, Glenview, and Anchorage have been cited as the most prosperous suburbs of Louisville since the mid-20th century. It was among the highest-income places in the United States as of the 2000 U.S. census. Indian Hills is located in northeastern Jefferson County at 38°16′41″N 85°39′35″W﻿ / ﻿38.27806°N 85.65972°W﻿ / 38.27806; -85.65972 (38.278087, -85.659762). It is bordered to the northeast by Glenview and Riverwood, to the east by Northfield, to the southeast by Windy Hills, to the south by Druid Hills and Brownsboro Village, to the southwest by Rolling Fields, and to the north by the Ohio River, which on the far bank carries the Indiana border. On all other sides, Indian Hills is bordered by the Louisville/Jefferson County consolidated government. Interstate 71 runs through the northern part of Indian Hills, but with no direct access. U.S. Route 42 forms the southern boundary of the community, leading west 6 miles (10 km) to downtown Louisville. According to the United States Census Bureau, the city has a total area of 2.0 square miles (5.1 km2), of which 0.02 square miles (0.05 km2), or 0.89%, are water. The Muddy Fork of Beargrass Creek runs through Indian Hills. The region is hilly karst with numerous rock outcroppings visible, and the area is densely forested. This terrain, along with the large house lots, have been mentioned as defining features of the community. Over a third of the land is intentionally left undeveloped, mostly as woodlands. Ten areas were originally developed by the Olmsted Brothers landscaping firm, and other tracts have been donated to the city over the years. Most of the undeveloped land is located on Indian Hills Trail between Louisville Country Club and the Ohio River. Caperton Swamp Nature Preserve is also located in the city. The undeveloped areas around Beargrass Creek and nearly all of the city north of Interstate 71 are in the 100-year flood plain, and seasonal flooding is common. The intersection of Indian Hills Road and River Road is closed occasionally in spring due to high water. The community is named for local settler John Veech's Indian Hill Stock Farm, for a time one of the largest horse farms in Kentucky. Veech held over 300 acres (120 ha) as early as 1805, and his family continued to own most of the local land into the 20th century. The Georgian-style Veech house still stands at 125 Indian Hills Trail; the farm's springhouse is at 119 Arrowhead Road. (Both have been approved for listing on the National Register of Historic Places, but the property owners have so far opted against listing.) An 1877 Louisville Courier-Journal article claims the name was adopted from the hundreds of Indians camped at the site at the time of Louisville's founding in 1778, but naming developments after Indians was generally fashionable in the late-19th century. The Veech family owned much of the land into the 20th century. In 1911, the family contracted the Olmsted Brothers landscaping firm to plan the development of a golf course and subdivision. Two Indian Hills houses from this era are located on the National Register of Historic Places, both in the northeastern section of the city: Midlands was built in 1913 for a member of the locally prominent Belknap family, and Blankenbaker Station was built in 1916 and was one of the first "fireproof" homes in Louisville. By 1924, the Louisville Country Club had been completed, and the initial subdivision (sometimes referred to as Indian Hills-Country Club) was developed further from 1927 to 1941 by the Semonin Company. Initial lot restrictions required houses to be sold for at least $10,000, and this was raised to $20,000 in 1946. The community was formally incorporated by the state assembly on December 15, 1941. Calumet Road was the last street of the original Indian Hills plan to be built, with construction delayed until the 1950s due to the steep terrain. In 1954, Louisville proposed annexing the new city in order to extend sewer service into the area and other developments further east. This met with such opposition that The Courier-Journal reported itself unable to find a single supporter of annexation or sewers in Indian Hills. Two years later, the Indian Hills plans were folded in to the larger Mallon Plan to annex most of Louisville's outlying suburbs into the city government. Leaflets distributed in Indian Hills claimed taxes would go up, Louisville busses would enter Indian Hills, and sewer service would lead to expensive and unnecessary bills. While Louisville voters approved the plan by a large majority, the suburban voters rejected it by a 2-to-1 margin and the Mallon Plan had to be shelved. In the wake of the annexation vote, Indian Hills began exerting greater political autonomy, closing down a used car lot on Brownsboro Road, annexing the land, and encouraging its redevelopment for residences. (The triangle of land involved now houses the homes around Old Brownsboro Court and a small shopping center with a Rite Aid.) The city also sued the Louisville Gas & Electric Company, seeking to remove the newly installed 135-foot (41 m) electrical towers east of Indian Hills Trail. LG&E won the case by arguing that the land in question was scrubland unsuitable for commercial development. In the 1980s, Louisville again proposed sewers for Indian Hills, this time without annexation. Although Indian Hills rejected the plan by a 4-to-1 margin in 1988, extending a line through the community was the only economical way to provide access to communities further east who voted in favor of the service. Legal challenges delayed construction until 1992, but a line was then constructed through the city, without connecting to any of the local houses. In 1995, a local resident was sued by both his neighbors and the county to deal with his overflowing septic tank; he and the septic tank companies claimed the problem could not be fixed and the only option was connection to the city sewer system. Mayor Jeanne Beam, who had opposed sewers throughout her 22-year service, abruptly resigned in June after the city commissioners announced they would no longer oppose connection. Beginning in 1999, the project became the most expensive sewer construction in Jefferson County history, costing residents $20,800–$31,200 each. The same year, Indian Hills was reincorporated following an election that merged the former Indian Hills with the neighboring cities of Indian Hills-Cherokee Section (inc. 1955), Robinswood (inc. 1965), and Winding Falls (inc. 1977). (An earlier attempt to annex the community of Riverwood as well failed in 1998; Rolling Fields was approached about joining the merger but declined to participate.) The new city reached the population threshold for 4th-class status, giving it greater local control (particularly over zoning) ahead of the merger of Louisville and Jefferson County into a single metro government. It also permitted the merger of two separate local police departments. Despite the merger, the Kentucky Secretary of State continues to list Indian Hills-Cherokee Section, Robinswood, and Winding Falls as separate and active cities. As of the census of 2000, there were 2,882 people, 1,119 households, and 914 families residing in the city. The population density was 1,459.5 people per square mile (564.8/km²). There were 1,162 housing units at an average density of 588.5 per square mile (227.7/km²). 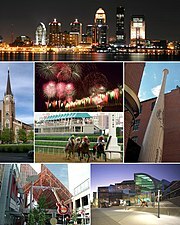 The racial makeup of the city was 95.70% White, 1.73% African American, 1.60% Asian, 0.03% Pacific Islander, 0.03% from other races, and 0.90% from two or more races. Hispanic or Latino of any race were 1.46% of the population. There were 1,119 households out of which 32.0% had children under the age of 18 living with them, 76.3% were married couples living together, 3.5% had a female householder with no husband present, and 18.3% were non-families. 16.0% of all households were made up of individuals and 8.8% had someone living alone who was 65 years of age or older. The average household size was 2.58 and the average family size was 2.88. In the city, the population was spread out with 23.6% under the age of 18, 4.4% from 18 to 24, 17.1% from 25 to 44, 36.7% from 45 to 64, and 18.1% who were 65 years of age or older. The median age was 47 years. For every 100 females, there were 96.5 males. For every 100 females age 18 and over, there were 93.2 males. The median income for a household in the city was $120,602, and the median income for a family was $134,600. Males had a median income of $98,469 versus $41,000 for females. The per capita income for the city was $66,637. About 0.5% of families and 1.2% of the population were below the poverty line, including 1.0% of those under age 18 and none of those age 65 or over. ^ a b "Geographic Identifiers: 2010 Census Summary File 1 (G001): Indian Hills city, Kentucky". American Factfinder. U.S. Census Bureau. Retrieved June 4, 2018. ^ a b Melnykovych, Andrew (1995-08-30). "Caves, Hills, and Sewers". Courier-Journal. p. A11. ^ a b Carter, Darla (1999-01-28). "Indian Hills sewers set record for cost". Courier-Journal. p. 1A. ^ Elson, Martha (1996-10-10). "Land donated for nature preserve". Courier-Journal. pp. 2B. ^ "FEMA 100 Year Flood maps". Federal Emergency Management Agency. Retrieved 2011-09-11. ^ "Listing of NRHP Sites in Kentucky". Retrieved 2011-08-28. ^ a b "Indian Hills – History". Retrieved 2011-08-28. ^ Midlands Inventory Form (Report). NRHP. 1983-08-16. ^ Blankenbaker Station Inventory Form (Report). NRHP. 1983-08-16. ^ Staff (1993-03-19). "Paul Semonin Jr. Dies". Courier-Journal. pp. 7B. ^ Commonwealth of Kentucky. Office of the Secretary of State. Land Office. "Indian Hills, Kentucky". Accessed 29 July 2013. ^ Staff writer (1954-08-31). "Builder is developing "lost" lots". Courier-Journal. pp. section 2, page 1. ^ Staff (1954-09-10). "Annexation Talks only a Whisper in Indian Hills". Courier-Journal. pp. Section 2, Page 1. ^ "Leaflets, Citing Disadvantages of Mallon Plan, are Attacked by Broaddus". Courier-Journal. 1956-10-28. pp. Section 1, Page 8. ^ Phares, Don (2009). Governing Metropolitan Regions in the 21st Century. p. 166. ISBN 978-0-7656-2088-0. ^ "Indian Hills Zoning Ruling Upheld". Courier-Journal. 1957-02-03. pp. Section 1, Page 17. ^ "Towers to Stay in Indian Hills". Courier-Journal. 1962-11-28. pp. Section 1, Page 7. ^ a b Elson, Martha (1999-11-10). "New Indian Hills to get 9-member council; Merger folds four cities". Courier-Journal. p. 1N. ^ Commonwealth of Kentucky. Office of the Secretary of State. Land Office. "Indian Hills-Cherokee Station, Kentucky". Accessed 29 July 2013. ^ Commonwealth of Kentucky. Office of the Secretary of State. Land Office. "Robinswood, Kentucky". Accessed 1 August 2013. ^ Commonwealth of Kentucky. Office of the Secretary of State. Land Office. "Winding Falls, Kentucky". Accessed 1 August 2013.